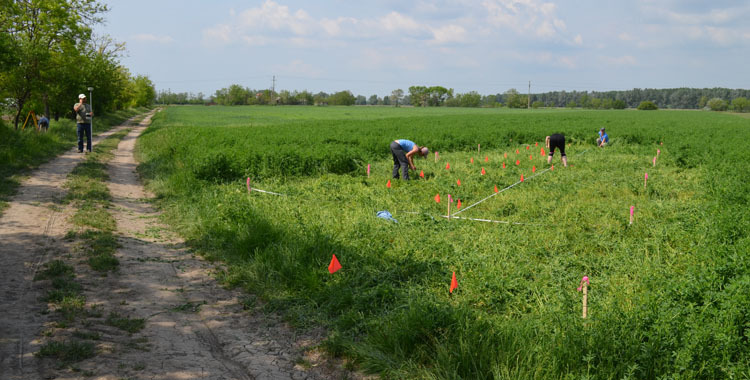 The Bronze Age Körös Off-Tell Archaeology (BAKOTA) project is studying a Bronze Age cemetery population in Eastern Hungary, and aims to understand how this region intensified farming, craft production, and trade without corresponding increases in social inequality. 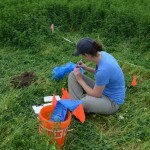 Shovel testing is a survey technique used when surface vegetation is present. If the land has ever been plowed, a few spadefuls of plowsoil will often contain artifacts suggestive of the underlying, intact, archaeological deposits. 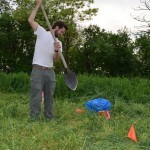 If the area hasn’t been plowed, a shovel test must be dug to the subsoil to see if there are any archaeological strata.